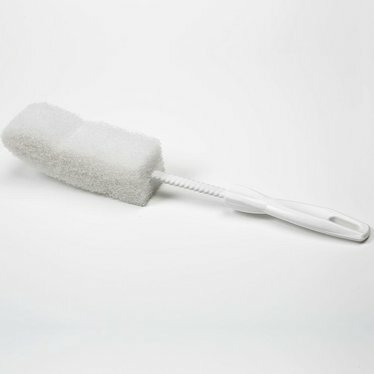 Specially made for those delicate baby bottles, this brush's unique, sponge-like pad is gentle on both glass and plastic surfaces. Plus, it easily reaches and cleans the bottom edges of bottles. Will not scratch, mar or break bottles.